NUCCA spinal care is unique and different from traditional chiropractic care. At Precision Spinal Care, our Chesapeake chiropractors have a technique that is specific and requires no manual manipulation of the spine. It’s results have been documented in clinical based trials (i.e. – see blood pressure study) and just received a grant from the NIH for further research. 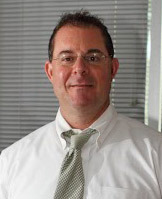 Dr. David Packer is dedicated to providing top quality NUCCA care to all patients in the Hampton Roads Virginia area. His treatments require no drugs, surgery or manual manipulation. The reason why we provide NUCCA care is that it creates measurable, predictable and reproducible results for our patients. Contact Precision Spinal Care in Chesapeake, VA now to schedule an appointment.